Remington is a well-known electric shaver brand. The F5-5800 is a great foil-style rechargeable shaver that not only performs well, but is available at a great price too. 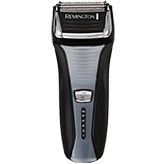 The Remington F5-5800 comes without frills, but if you’re looking for a shaver that provides a smooth clean shave, than this is the only shaver you need. It’s available in a black and charcoal finish, and has an easy on/off button. The Remington foil head is built with their patented pivot and flex interceptor technology. This shaver is not only rechargeable, but it is fully rinsable under the tap, so that it can be easily cleaned. You can shave wet or dry as well. 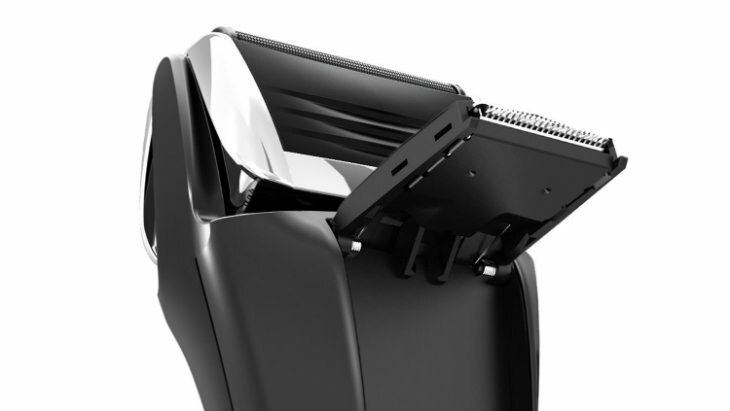 This shaver promises that you’ll be able to get a great shave, with fewer passes. This means that your shaving chore will be quickly and easily completed in the morning, without fuss. 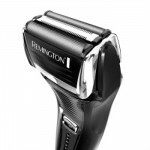 If you haven’t shaved for two or three days it is no problem with the Remington shaver. It’ll handle old and longer growth easily. The steel foils will pivot and move with the contours of your face. This shaver contains everything you need for a great shave, and while the price is low, they haven’t cheapened out on the shaving experience. 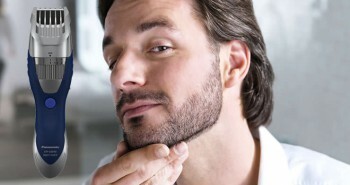 A handy pop up trimmer will enable you to carefully trim around sideburns, mustache, or beard. The LED fuel gauge will let you know when you need to charge up your Remington shaver. One full battery charge will let you use your shaver for around sixty minutes, which should be plenty of shaving time for the entire week, plus more. If you forget to plug it in the night before, you can do it in the morning. 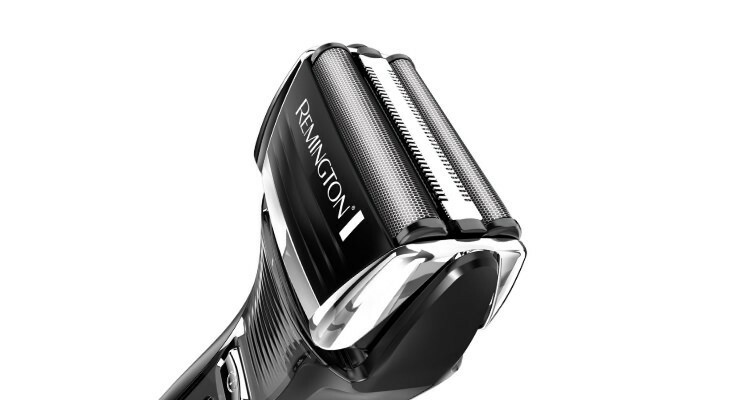 After a quick five minute charge you’ll have plenty of cordless shaving time to get ready that morning. Just remember to plug it in for the next day. Though some men are fine with the five minute charge each morning. It depends on what works best for you. Sometimes you don’t want to fiddle with charging it up, and what’s so unique is that this shaver can still be used with the cord. Also a great option for seniors who may not quite understand how the new rechargeable shaving technology works. No worries, they can still plug it into the wall and shave. The Remington F5-5800 is extremely affordable. At this price you can afford an extra one for the office. This electric shaver can be warrantied for up to two more years from the manufacturer’s warranty. 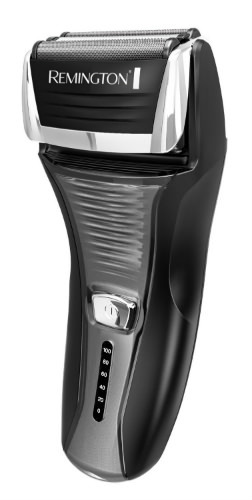 You really can’t go wrong with the Remington F5-5800 cordless rechargeable shaver. Everything you need is contained within one compact unit. If you prefer the basics and don’t need any fancy charging station portable cleaning system like the higher end models for sale, you’ll still be pleased with how well the F5-5800 provides you with a clean and close shave every morning. This is a reasonably-priced battery shaver that shaves very well. I was able to try it and would rate it among the better rechargeables despite its low price. Still, for a bit more, I was able to buy a shaver that will outlast these battery shavers, and shave similarly well. Of course, if you are very handy, you can change out the battery in this shaver and it will likely last as long as an electric (cord only) shaver. The fact that this shaver works when the battery dies down is predicated on the fact that it only works if the batteries are good. It is not an electric shaver that works when you plug it in if the batteries are absent or bad. Still, for a rechargeable, it shaves well and like the author says, is good value.